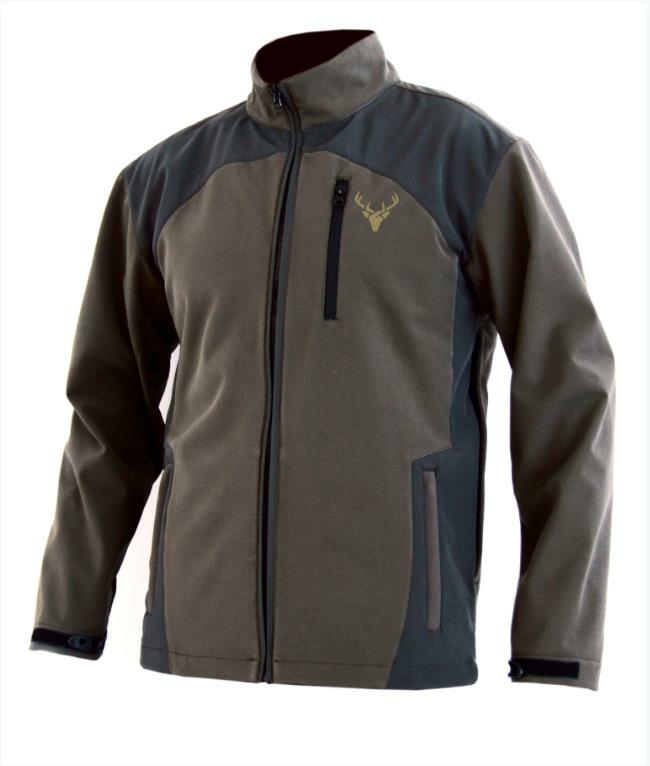 Windproof sportie soft shell jacket with zippered game pocket on back. 3 zippered pockets: 2 in bottom and 1 on chest. Game zippered pocket on backside. Adjustable bottom. Adjustable cuffs. Microfleece lining.